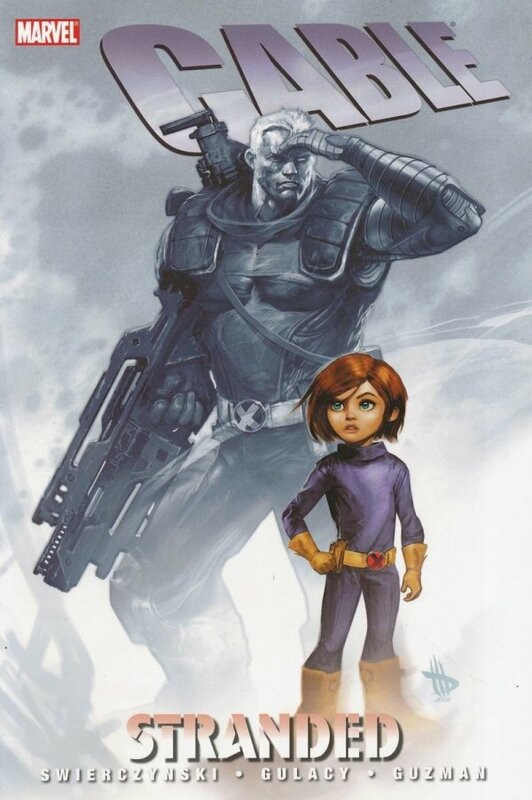 Cable has only one mission in life: to protect Hope, the first mutant born since M-Day. But when a freak accident in the time stream strands the girl two years in the past, she finds herself alone for the first time in her short life - alone and in the crosshairs of the assassin Lucas Bishop. Convinced the girl will trigger a mutant apocalypse, Bishop has vowed to kill her at all costs. Now, Cable must wade through time to find his ward before Bishop does and in the process confront his greatest nemesis: the mutant madman Stryfe! With most of the planet ravaged by weapons of mass destruction, Cable and Hope have only one shot at salvation: outer space. 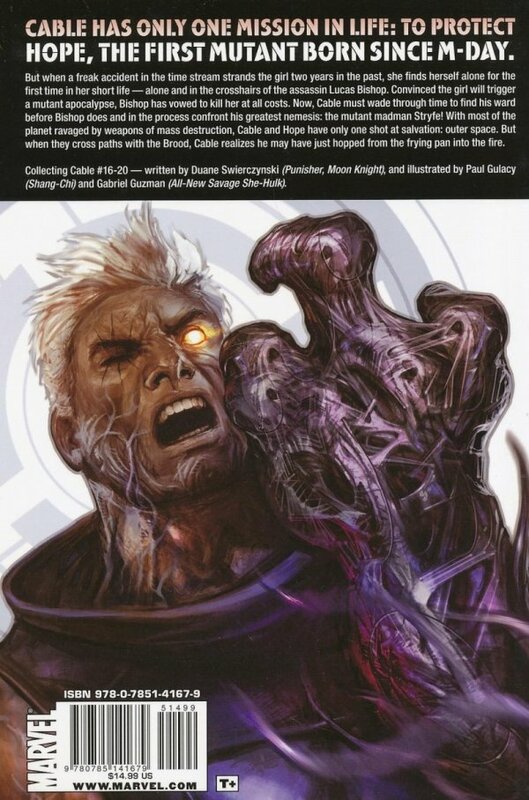 But when they cross paths with the Brood, Cable realizes he may have just hopped from the frying pan into the fire.